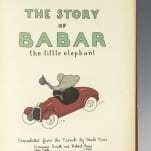 The Story of Babar the Little Elephant. New York: Harrison Smith and Robert Haas, Inc, 1933. 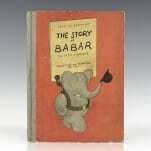 First American edition of the first book in de Brunhoff’s Babar the Elephant series. Translated from the French by Merle Haas. Folio, original quarter cloth over illustrated boards, pictorial endpapers. Illustrated by the author. In very good condition with some wear to the extremities. A much nicer example than usually found. 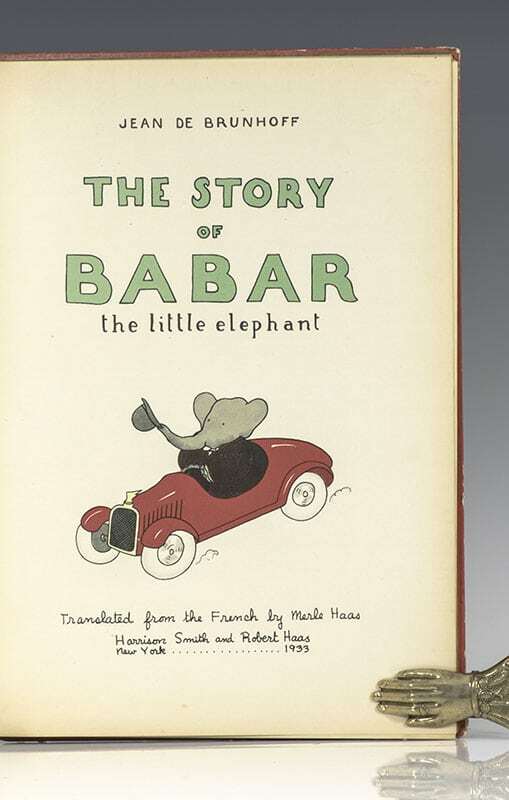 Based on a story de Brunhoff's wife created for their children, The Story of Babar tells the tale of a young elephant who escapes a hunter in his native jungle and comes to appreciate the civilization and fine things of the big city. 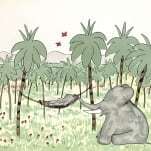 He later returns to the jungle where he is crowned King of the Elephant Kingdom for the wisdom and civility he has gained in his travels. 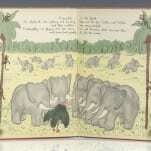 The book enjoyed immediate success upon publication and de Brunhoff went on to publish six more stories in the series before his death in 1937. 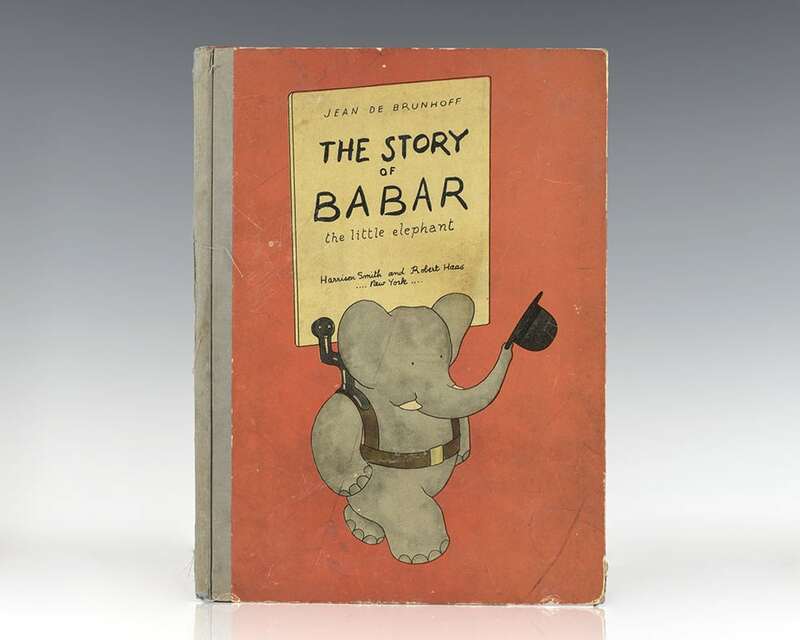 His son, Laurent de Brunhoff, carried on the series and it was made into an animated television series in Canada which ran a total of 65 episodes between 1889 and 1991. 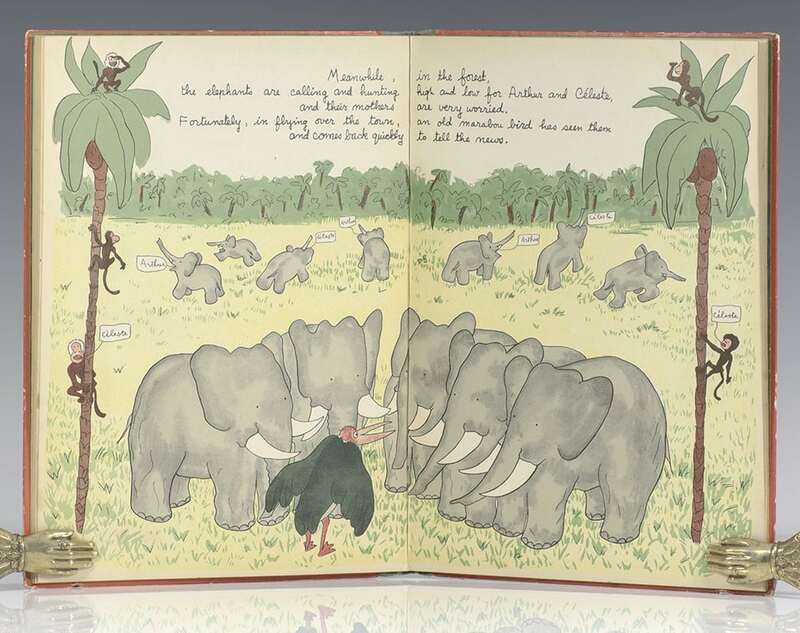 "Like an extravagant piece of poetry, the interplay between few words and many pictures, commonly called the picture book, is a difficult, exquisite, and most easily collapsible form that few have mastered....Jean de Brunhoff was a master of this form. 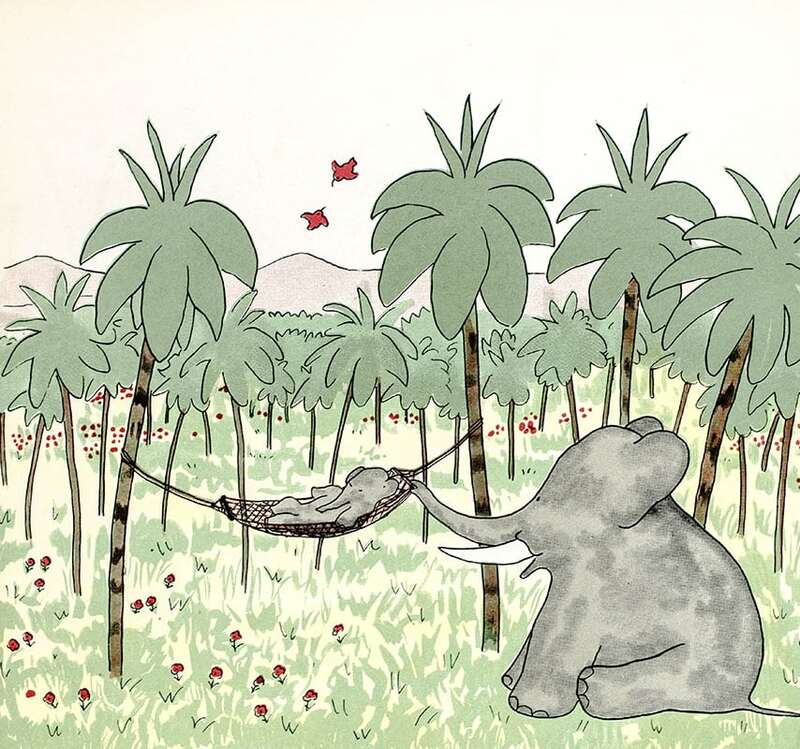 Between 1931 and 1937 he completed a body of work that forever changed the face of the illustrated book" (Maurice Sendak). New York: William Morrow & Company, 1985. First edition of Irving’s sixth novel. Octavo, original half cloth. Signed by the author on the title page, “Merry Christmas John Irving.” Some spotting to the page edges in a near fine dust jacket. Jacket design by Honi Werner. Love in the Time of Cholera. New York: Alfred A. Knopf, 1988. First American edition of Garcia Marquez’s work, which ranks as one of the great novels of the last half of the twentieth century. Octavo, original half cloth. Signed by Gabriel Garcia Marquez on the half-title page. Fine in a fine dust jacket. Jacket design by Carol Devine Carson and Chip Kidd. Translated from the Spanish by Edith Grossman. Housed in a custom half morocco clamshell box. New York: Henry Holt, 2005.